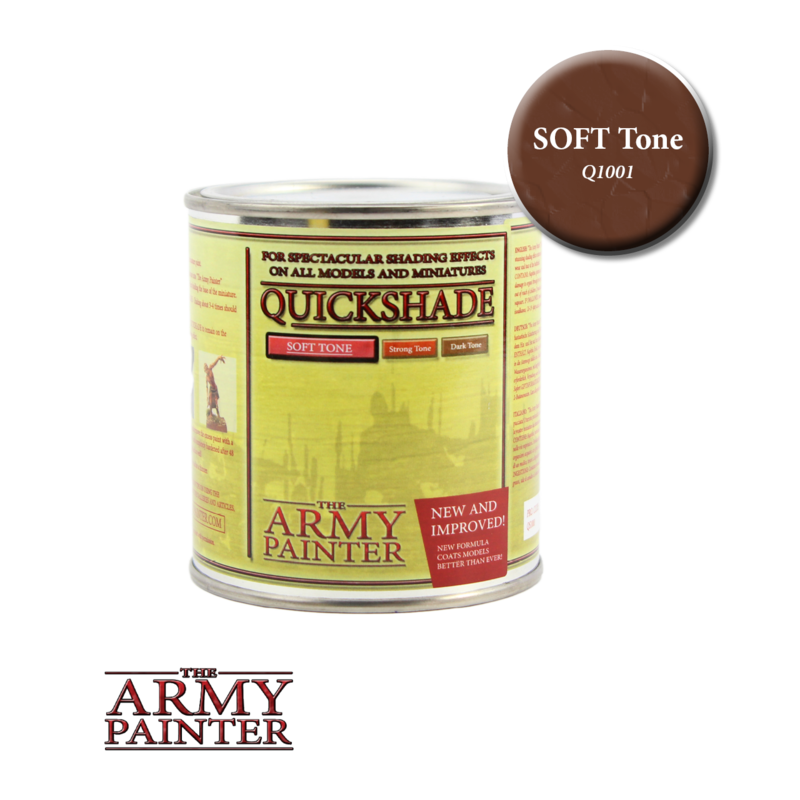 250ml tin of Quickshade Soft Tone. Quickshade Soft Tone is specially designed for lighter colours and looks extremely effective on whites, pinks or yellows as a consequence. Alternatively Soft Tone will give you an effective light shading effect, good for large surfaces and clean miniatures.